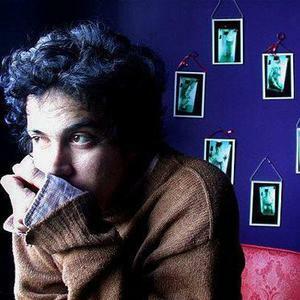 Matthew Stephen Ward (October 4, 1973, Newbury Park, California), known by his stage name M. Ward, is an American singer-songwriter and guitarist who rose to prominence in the Portland, Oregon music scene. In addition to his solo work, he is known as a member of She & Him and Monsters of Folk. Ward was previously with the band Rodriguez, which included bassist Kyle Field (of Little Wings fame) and drummer Mike Funk. Ward was previously with the band Rodriguez, which included bassist Kyle Field (of Little Wings fame) and drummer Mike Funk. They recorded and released on cassette Box Plots and Cash Crops and then the album Swing Like a Metronome in 2000. Duet for Guitars #2 was released by Howe Gelb on his Ow Om record label. Ward's 2001 album, End of Amnesia, was put out by Future Farmer Records and his subsequent albums have been released on Merge Records. A collection of live recordings, Live Music & The Voices Of Strangers, was a self-released disc that was sold at his shows. His next album Transfiguration of Vincent was released in 2003, followed by Transistor Radio in 2005. A year later Post War was released. In 2006, he contributed a song to, and helped produce, the John Fahey tribute album, I Am the Resurrection. He also contributed the song Transfiguration #1 from Transfiguration of Vincent to the Brushfire Records soundtrack for A Brokedown Melody, a Jack Johnson surfing film. His album, Hold Time, was released in 2009. The album, A Wasteland Companion, followed in 2012. The A Wasteland Companion Songfacts reports that it was recorded in eight studios in the United States and the United Kingdom and released on April 10, 2012. The album title alludes to T.S. Elliot's 1922 modernist poem, The Waste Land. He has guested on recent recordings by The Court & Spark, Bright Eyes, Jenny Lewis (with an appearance in the notable cover of the Traveling Willburys song, "Handle With Care" along with Conor Oberst and Ben Gibbard) and My Morning Jacket.